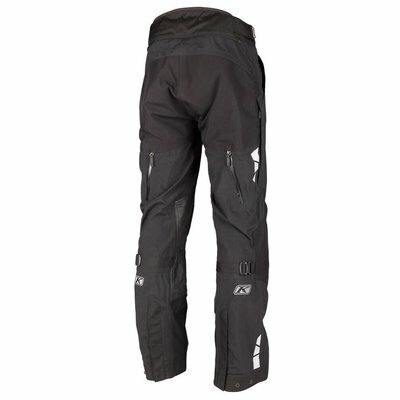 The Klim Latitude motorcycle Pant, renewed for 2018, offers comfort and protection in a waterproof and breathable design. Whether you commute every day or go on a long journey, the Latitude keeps you dry and comfortable. 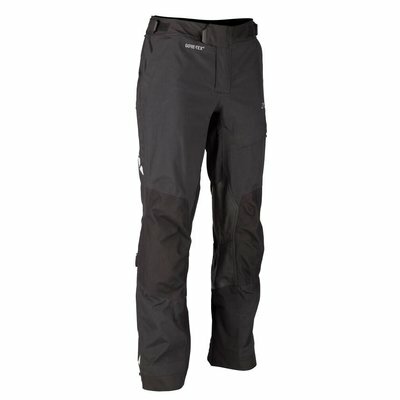 The Latitude is equipped with 2-layer Gore-Tex® laminate and as a result windproof, waterproof and breathable. 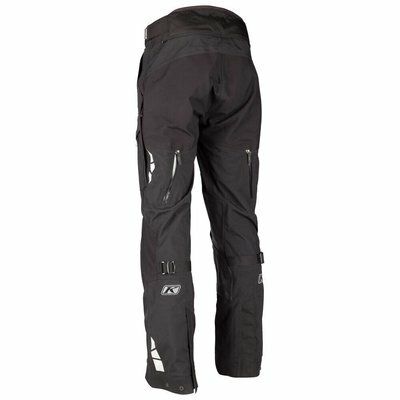 For warm days, ventilation ports are provided on the front and back of the thigh. 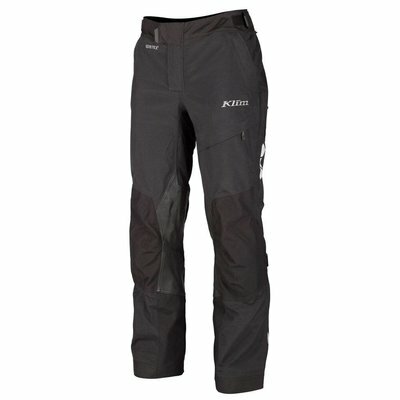 In impact zones, the comfortable pants are reinforced with wear-resistant Cordura and leather. The Latitude fits conveniently well, whereby the fit can be adjusted with adjustment straps at the waist and behind the knees. 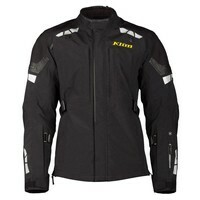 At the back there is a universal zipper that can be used to attach the trousers to every KLIM motor jacket. 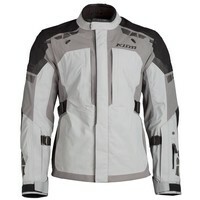 D3O armor offers superior protection without compromising comfort. 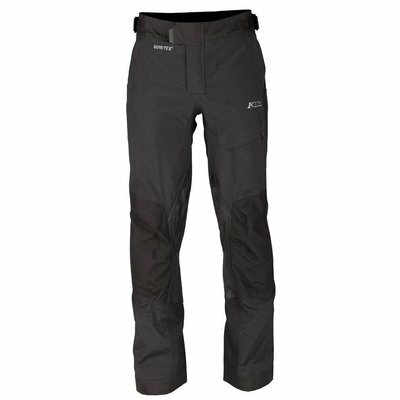 For increased visibility, 3M reflectors have been fitted on the Latitude pant. 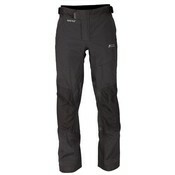 The Latitude pants are available in black and grey. 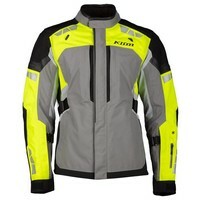 In addition, a matching Latitude jacket is available in Black, Grey and Hi-Vis. 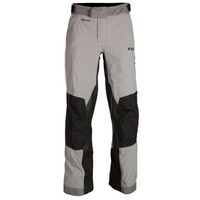 The pants are offered in three size variations: Regular, D-Size and Long. 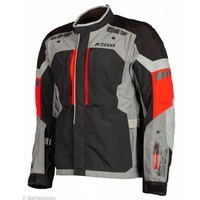 Use the KLIM EURO Size Chart to determine your size. 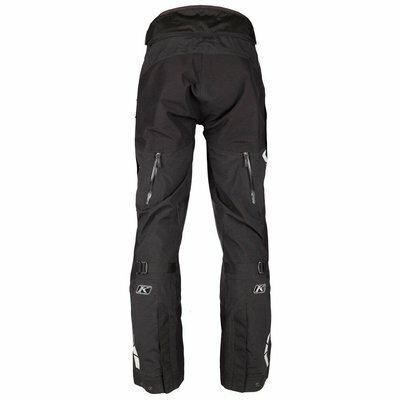 The price of the ’Tall’ version of the pant is higher than the ’Regular’ version of the pant.